LAS VEGAS – Hi Scores, Henderson’s bar-arcade, is expanding to Las Vegas’ southwest with a new location at 4785 Blue Diamond Road, near Decatur Boulevard. The grand opening of the 6,556-square-foot location is set for 6 p.m. Saturday, March 19, featuring local brewers such as Big Dogs, Joseph James, CraftHaus, Bad Beat and Tenaya Creek. An invitation-only VIP party will begin the festivities at 4 p.m., two hours before opening to the public. A ribbon cutting will take place at 5:45 p.m. 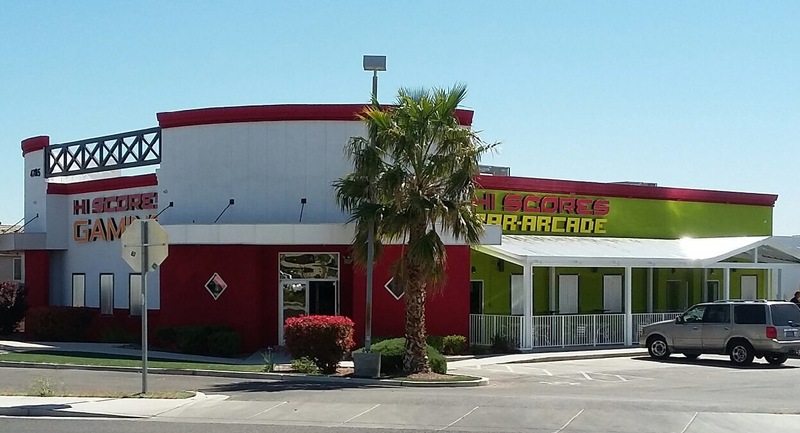 The new location, much like its Henderson sister property, will feature two distinct sides – a fun, bar-arcade and a plush, relaxed gaming side. Although separate, the two sides will share one kitchen and menu by Chef Clarence, with food such as braised short ribs, fig bison burger and the barbecue pork fries. Both sides will offer craft beer selections, a full bar with hand crafted cocktails and seasonal food specials. 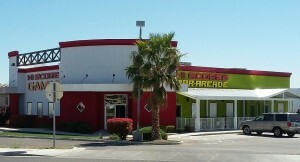 The remodel of the new location, formerly Home Plate, includes a patio along the entire west side of the building with seating and three free-play Golden Tee video games. The bar-arcade will feature more than a dozen free vintage arcade games, including four-person Pac Man; communal seating, several big screen televisions, beer pong, a large graffiti wall and a section for large parties. A semi-private VIP patio will feature the country’s first life-sized Golden Tee Golf, and inside, 32 craft beer selections will rotate every few weeks, with at least 25 unique beer styles at all times. With a darker, plush ambiance, the gaming side will house several Golden Tee Golf consoles, foosball, 15 multi-game machines featuring poker and keno in the bar top, a full bar with hand-crafted cocktails and 16 craft beer selections. 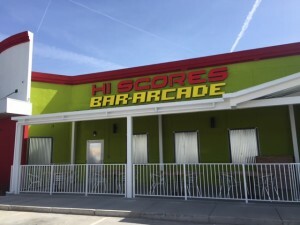 Owned and operated by Radman Hospitality, Hi Scores Bar-Arcade offers a lively and colorful atmosphere and free arcade games, along with good food, drinks and fun. To be added to the mailing list for updates on the grand opening, register at updates.hiscoreslv.com. 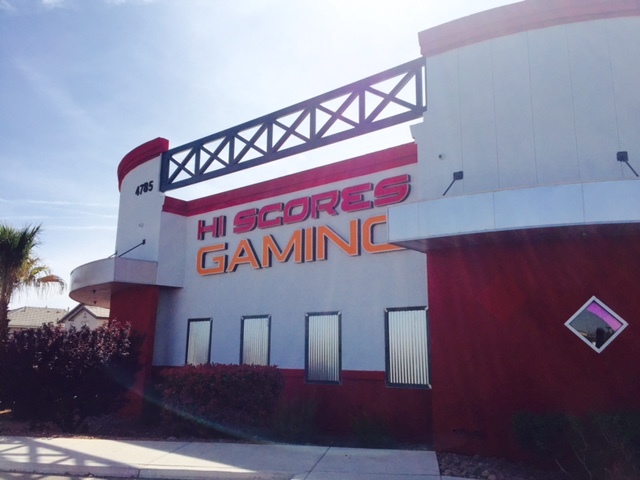 For additional information on Hi Scores, visit http://hiscoreslv.com/, email feedback@hiscoreslv.com, call 702-522-7766 or follow on Facebook at https://www.facebook.com/HiScoresLV.